This time of year, we hear from many hospitals around the country who need more and/or better equipment for their neonatal intensive care unit (NICU). Most of the hospitals seeking grants already have some state-of-the-art equipment, but due to the volume of premature births they are managing, it’s not enough. Ask any doctor, nurse, or respiratory therapist in a NICU and each one will tell you – we don’t just a want a baby to survive, we want the baby to thrive. Giving a fragile preemie a chance to thrive often means spending enough time in a highly specialized piece of equipment. Level I – Basic Care: Level I, sometimes called a “Well Newborn Nursery,” provides care for healthy full-term babies or babies born close to their due date (usually 35 weeks or later). These nurseries offer routine care, including assessments, and are equipped to stabilize babies and get them ready for transport to facilities that provide higher levels of care if needed. Level II – Special Care: Level II nurseries treat babies born greater than 32 weeks or those that are full-term and require close monitoring of problems that are expected to resolve soon. These facilities can treat babies with usually non-life-threatening medical difficulties (jaundice, body temperature, etc.) or babies with respiratory issues. Level III – Subspecialty Care: Level III nurseries care for the fragile and sick newborns. These units have a wide variety of staff available 24 hours a day and are equipped to provide continuous life support and critical medical and surgical care. Level IV – High Level Specialty Care: A Level IV NICU is the highest level of NICU care and is often a regional facility with on-site surgical capabilities for the most severe medical conditions. 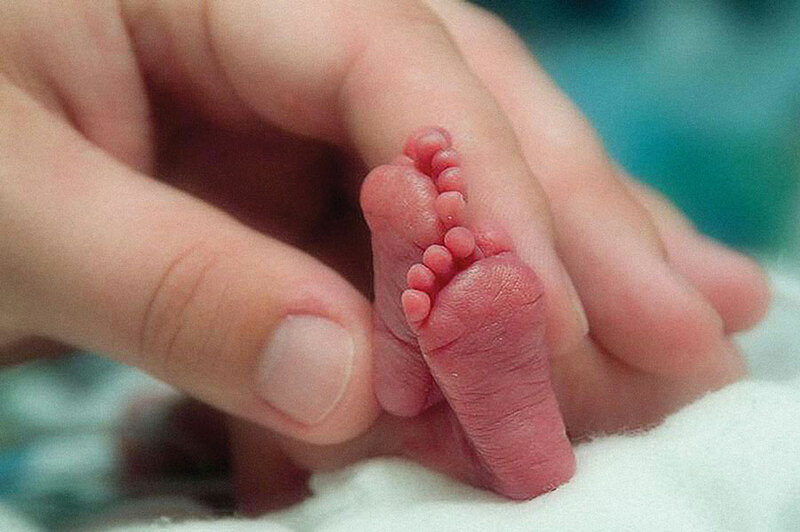 Level IV nurseries care for babies at the lowest age of viability or micro preemies. These units provide the most sophisticated respiratory support and offer a wide variety of neonatal surgeries. Thank you to all who supported Brave Beginnings last year, due to your generosity, we were able to provide grants to 26 hospitals! And its not too late to donate and contribute to the 2019 grant cycle.